I sit here on my bed, grumpy, frustrated and in pain. 4 months ago, I decided to explore the possibility of having a fat graft. When those words are mentioned to others, its quite entertaining to see the reactions from others – total confusion. A fat graft essentially is where healthy fat cells are harvested from a ‘fatty area’ by means of liposuction. The fat is then rinsed and re-inserted / grafted into the designated area. Mine being in my stump. Due to my extensive weight loss over the last five years (32kgs), my stump has ended up very thin. This makes a snug fitting prosthetic leg quite difficult to master which without the snugness, my stump is constantly under pressure, chafing and pistoning. This of course results in injury which can lead to nasty infections. The downside to all of this besides the obvious downtime has included stupid little things like being fat shamed while trying to build up enough volume for the surgeon to remove. As an International elite competitor it is seemingly frowned upon when you don’t sport a six pack irrespective of situation. This type of thing makes me laugh because its not my six pack that makes me fast. Frustration caused by no longer having the full use of my hands for several weeks due to being bound by crutches.  Something I have always advocated for in my campaigning as to why prosthetics are a vital element of life. I hate that I can’t carry my own coffee even though I have mastered the hop with a full mug without spilling. The next few weeks will see me take it very easy, using the downtime to prepare my comeback. It’s actually a great break from the manic rush around trying to fit training blocks in between flights and races. 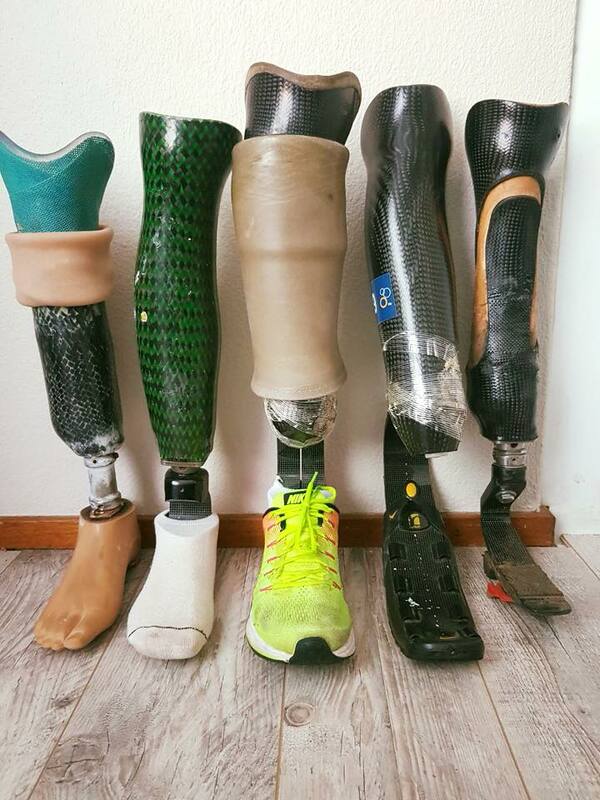 I now have a solid base to build from and the best part is that I will have the most awesome fitting prosthetics which should enable me to be way more comfortable when I race again. In the meantime I look at my collection of legs that lean up against the wall and smile, thankful for how each one has played an integral part in the last few years. Weird though that I will never put my leg back into them as they are now all too small for me.